Did you catch our first post on the importance of lamb survival for our businesses and our industry? It was noted in the post that “the single largest influence on the survival of lambs in the first few days of life is their birthweight” (CSIRO Research). Tim Gubbins reiterated this in his research when stating that increasing the birthweight of lambs is the number one factor influencing lamb survival. A strong, healthy lamb that is up and suckling within 15 minutes of being born has a 90-95% chance of still being alive 90 days later. Each extra kilogram of birth weight results in an extra 3.2 kg of lamb at weaning. Therefore, this post will focus on management strategies to influence the birthweight of lambs at lambing. It is an important discussion for both welfare and enterprise productivity – the loss of lambs at lambing is very upsetting as well as expensive, as ewes have been managed for pregnancy and have also incurred a reduction in fleece weight during this time. How can we improve birthweight of lambs? Ewe liveweight during pregnancy can have a major influence on lamb birthweight, so managing the ewe effectively from pre-joining through to lambing is incredibly important. Birthweight is affected by the condition score of the ewe and the birth weight of a lamb is most sensitive to changes in the condition of the ewe is late-pregnancy. Nutrition at this time can affect the birth-weight of lambs by up to 0.5kg per ewe condition score. Survival of a lamb decreases markedly when the birth-weight drops below 4.0kg. To optimise lamb survival, a single bearing ewe should be in condition score 2.8-3.0, and a twin bearer, 3.0-3.3 at the time of lambing. Whether they are a twin or a single. Research has found that twin survival almost doubled when born to ewes in condition score 3, compared to condition score 2.3. Body Condition Scoring (CS) at weaning and prioritizing feed for the thinnest ewes. Six weeks before joining ewes must be in good condition (above CS 3). Ten days before joining are the first part what is referred to as the “20 golden days”. This also includes the first ten days of joining. Maintaining the correct high-value nutrition during this period will have the biggest effect on the outcome of mating and the profitability of the business. Pregnancy scanning at about day 70. Condition scoring at this time will identify poor CS ewes and give time to get them back up to the target CS of 3+. It is also important to note that the person most skilled in CS identification should be the one pushing the ewes into the scanning crate to correctly identify and mark light ewes. In the final 35 days before lambing, the fetus grows rapidly and the ewe’s udder gets ready to produce milk. A strong, healthy lamb that is up and suckling within 15 minutes of being born has a 90-95% chance of still being alive 90 days later. At this stage of pregnancy, the ewe requires the highest quality grass available. Charles Sturt University researcher Dr Susan Robertson states that if you cannot change lambing time to increase lamb survival, you must optimize nutrition. She reiterates that “the single most important factor in improving lamb survival is ewe nutrition”. Her research results outlined that overall lamb survival can be increased by 7% or more by feeding a ewe 0.5kg/day with barley or lupins for the two weeks bridging peak lambing commencement. In regards to maiden ewes, DAFWA/MLA research to better understand the factors influencing the reproductive performance of ewe lambs found that an extra 5kg of liveweight at joining increased reproductive rate by 15 to 20% and an additional gain of 15 to 20% was achieved by growing lambs an extra 100 g/day during joining. 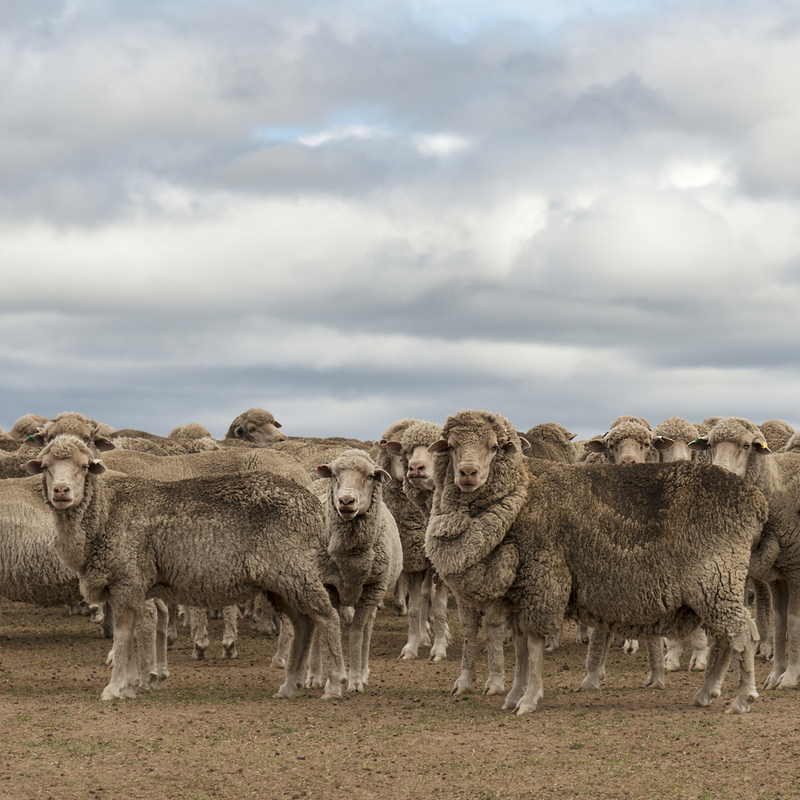 Does managing according to Lifetime ewe management strategies improve survivability? Dr Jason Trompf has stated that “lambing in condition score 3 can lift profit by approximately $20/ewe as a result of ewe and progeny survival and increased wool production.” AWI reiterate this, stating that the lamb weaning percentage can be reduced by up to 18 per cent if ewes are in a condition score of less than three at lambing. Nutrition is everything: meeting the correct nutritional level required by the ewe is essential and drives the whole system. Increasing condition score of a lambing ewe from 2.2 to 3.2 equates to approximately 10% increase in single lamb survival. No consistent effect on FB, SS or SL. What other management strategies can improve lamb survivability? Measure to manage: utilizing pregnancy scanning and pregnancy scanning tools. 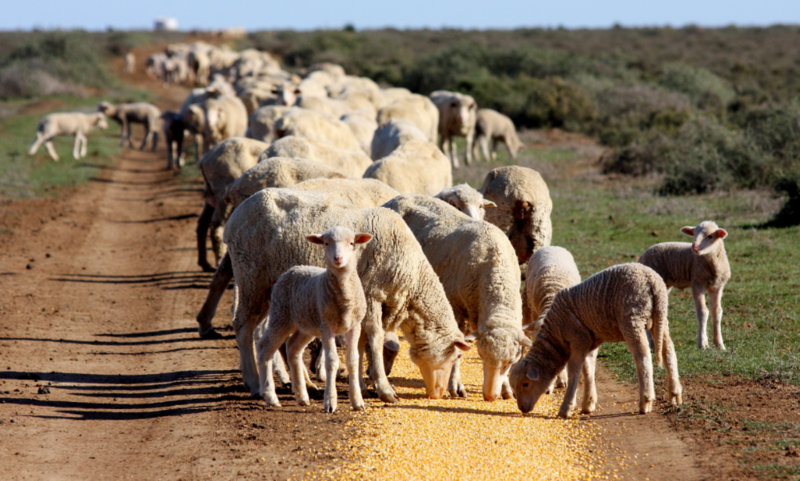 Fed well: lambing in condition score 3 can lift profit by approximately $20/ewe as a result of ewe and progeny survival and increased wool production. Adapt well: understand seasonal variability and identify tactics to apply during difficult years. The top-performing producers have flexible strategies including later lambing for paddock preparation, higher reproduction rates so more lambs can be offloaded, reserves on hand to feed until mid-June, timing shearing for sale sheep in spring/early summer, selling surplus sheep before summer and selecting robust genetics. Bred well: having a clear breeding objective and using visual and objective tools to get there. Matching rams to ewes is critical. Lamb well: selecting the right paddocks for feed, water, shelter, free from predators and minimisation of disturbance. Jason reminds that it takes 5-6 hours after birth for a ewe and lamb to bond. EverGraze trial sites outlined findings of growing perennial grass hedgerow shelter for lamb survival. They found the benefits of shelter are predominately for twins and triplets. In Hamilton, twin lamb survival increased by 15% and total lamb survival increased by 30%. Similar proportional gains were found in twin crossbred labs at Hamilton. Similar, pleasing results were found in Wagga Wagga. Survival was 10% higher for twin lambs born in shrub shelter compared to hessian rows. A cost/benefit analysis at Hamilton found that it cost approximately $5/ewe mated and the breakeven period was within three years. The extent of financial returns will depend on the degree of chill risk. Charles Sturt University researcher Dr Susan Robertson, also stated that shelter can make a huge difference. In cold, windy environments like Hamilton in Victoria, row of tall grass has improved survival by 50%. Our final post this week on lamb survivability will focus on the genetic influences on lamb survivability.